When a guest is talking it's easier to listen and understand what they are trying to say if Ed was not constantly interrupting them with: mmhmm , yup, yup, mhmm , mmmmm! I'm exposing the WORST advice you could EVER take right here! I was making 6 FIGURES by the time I reached my 20's. I was making 7 FIGURES by the time I was 30 and 8 FIGURES by the time I was 40! I HAVE BEEN THERE and I have heard and seen SO much along my journey. Now, I am speaking to all the young people out there who are ready to take their life to the next level! In this new episode, I am going to expose the #1 WORST piece of advice that you've been taught thus far AND the secret formula to becoming successful beyond your wildest dreams! If there are young people in your life, if you are a role model, if you interact with young people in ANY way, or if you are a young person yourself, THIS EPISODE IS FOR YOU! It is time to start 2019 off on the right foot! No matter your age, if you are ready to become a #MAXOUT ACHIEVER, there is no better episode to watch as you set your New Year's goals. This episode is FULL of all of the actionable steps you need to take RIGHT NOW NO MATTER WHAT AGE YOU ARE! The next best version of yourself is waiting and the time to ACHIEVE and MAXOUT 2019 begins now! This is the interview all of you entrepreneurs and business marketers have been waiting for! Are you wondering HOW to take full advantage of social media and market yourself or your business like a pro? I sat down with the marketing genius himself, Billy Gene and am bringing you all of his marketing knowledge, expertise, tips, and tricks! We are bringing the FIRE 🔥! With over 300 MILLION VIEWS, Billy Gene is one of the WORLD'S LEADING DIGITAL MARKETING ADVERTISERS! If you want to turn clicks into customers, learn exactly how to create BETTER more IMPACTFUL content and get that content in front of the RIGHT people... You MUST watch/listen to this episode! Be prepared to TAKE NOTES, be BLOWN AWAY, and get the MISSING LINKS to your marketing strategy revealed! Christine Simmons is the President and COO of the WNBA's LA Sparks and is HERE with me in the interview seat and you do NOT want to miss this champion share her incredible story on how she was able to fight adversity to become a top-level executive in one of the worlds most respected organizations. As a 2018 EBONY POWER LIST Hero, being listed amongst the great MVPs including Steph Curry, James Hardin, and Venus Williams, failure, fear, and intimidation never stopped Christine from dominating the sports world and being a trailblazer for other women in business. This interview reveals TOP LEVEL BUSINESS STRATEGIES on the art of communication, the best strategies for growing your brand and how to command a room. Find out straight from the source what its like to win a WNBA championship and maintain a ferocious work ethic! We get very REAL about the issues that minorities and women face in the business space. Christine breaks down head-on exactly HOW to navigate these waters and STILL find TREMENDOUS success in business and all other areas of her life. All while being a single mother! Consider this... "These mountains that you are carrying, you were only meant to climb." I know you felt that! And so did I. Which is why I had to interview the powerful and inspiring trailblazer who coined this phrase, Najwa Zebian. Najwa is a celebrated Lebanese-Canadian poet and inspirational speaker on a mission to CHANGE THE WORLD. In this heart-filled interview, Najwa shares her account of witnessing her home in Lebanon engulfed in war, to her incredible journey of immigration, vulnerability, invisibility, and self-discovery. On the heels of the #metoomovement we confront head-on the mindset of power dynamics and the reality AND effects that men and women are faced with on a daily basis. Our backgrounds are different. Our styles are different and this interview will be a brand new experience that you do NOT want to miss. More often than not, it is our diversity that brings us together. This is why I am so thrilled to bring you this episode. Please SUBSCRIBE to all platforms, by CLICKING THE LINK IN MY BIO. Please SHARE, REVIEW, COMMENT, REPOST, and TAG SOMEONE to spread the word about the fastest growing show on earth! With a combination of beauty, talent and untamed desire, Natalya Neidhart is proudly carrying on the WWE legacy and truly living her destiny. She is the SmackDown Women's Champion, 2-time title holder, daughter of Jim “The Anvil” Neidhart, AND the first third-generation female wrestler in the world! Her presence out of the ring is almost as formidable. Starring on E!’s Total Divas reality series and working as an active supporter of WWE along with a long list of charitable partnerships, it is easy to see that Natalya is a powerhouse of strength, passion, and determination. In this exclusive interview, Natalya pulls back the curtain and shares her life experiences including her relationship with Jim "The Anvil" Neidhart and the struggles she and her family faced battling Alzheimer's. For the first time since the tragic passing of her legendary father, Natalya opens up about her loss and how she is able to live up to the legendary legacy of the pink and black. The FIRED UP PODCAST you've been waiting for! Everything good and bad about me was molded right here 21 years ago at @universityofthepacific. I had the privilege to travel back to the place that shaped the man I've become today to deliver one of the BEST most FIRED UP speeches of all time! See what really happens behind the scenes in the locker room full of aspiring young athletes as I light a FIRE in these men. I teach them how to WIN when the odds are stacked against them... how to LIVE a life without regrets and how to OPEN THEIR MINDS to the world of opportunities in front of them. This doesn't only apply to these young men in baseball and sports... this applies to YOU and your team in business, in YOUR relationships, in YOUR faith, in YOUR family! Literally, in every area of your life where you need motivation, where you need to re-ignite a flame, THIS episode will get you there. "160,000 kids in the United States alone skip school every day because of bullying." These words were spoken by the legend himself, Justin Wren aka The Big Pigmy. Only 20 - 30% of students who are bullied notify adults about the problem. That is why it is so important for those of you who are experiencing this nightmare to tell someone. And if that person doesn't listen then tell someone else. There is someone out there who loves and cares for you. In this interview, Justin shares his first-hand experience of being bullied and how he overcame addiction and disappointment to become dubbed, "The Big Pygmy." The real fight of his life began with his journey to The Congo where he helped negotiate the freedom of hundreds of enslaved people and launch sustainable farming initiatives including clean water. He was called "Efeosa," which means "the man who loves us," and founded the "Fight For the Forgotten" a non profit fighting to empower those who don't have a voice - from the forgotten people around the world affected by the water crisis, to the bullied in our own neighborhoods and schools. Join me in experiencing this powerful and inspiring interview about the fight The Big Pygmy fought every day outside of the ring and how he found his life's calling through God and servitude. Please SUBSCRIBE to all platforms, by CLICKING THE LINK IN MY BIO. Please SHARE, REVIEW, COMMENT, REPOST, and TAG SOMEONE to spread the word about the fastest growing show on earth! Mikey Garcia, one of the GREATEST boxers in the WORLD, was always destined to be a world-class boxer. He is a world champion in four weight classes and currently a unified lightweight world champion, having held the WBC title AND the IBF title. On top of his amazing record and accomplishments in the ring, Mikey's insight into peak performance and Maxing Out inside and outside of the ring are going to help you tremendously! His is also a story of immigration. The son of immigrant parents, Mikey watched his parents barely survive as field workers for nearly 20 years and transform their lives to produce one of the greatest boxers of all time. Their story will move you in ways you can't imagine. I had the powerful and inspiring opportunity to sit down with this UNDEFEATED boxing champion. With 39 wins, 30 by way of knockout, this interview details how the champion within the boxer was created and will literally knock the wind out of you! SHARE, REVIEW, COMMENT, REPOST, and TAG SOMEONE to spread the word about the fastest growing show on earth! Dean is obsessed with sharing the Success Habits learned along this journey with the world and I've brought him here to share with you exactly how to develop a MILLIONAIRE MINDSET. You asked for it , you got it! I am FIRED UP and PRIVILEGED to bring you this all-new original Content release! In this training , I'm going to break down happiness and fulfillment and share exactly how to experience MORE of each in your life. Blissful Dissatisfaction - The formula for happiness and fulfillment. So many of you, especially the high achievers, believe that you must keep some happiness in reserve so you don't lose your motivation and hunger to achieve more. You cheat yourselves out of enjoyment and bliss thinking it will "STEAL" your drive and passion and motivation. Many of you also delay your happiness until you attain a certain goal, promotion, or relationship in the future and have found yourself in a consistent state of delayed happiness. focus , passion and faith in our lives ! This podcast will unveil the myths about true happiness and why fulfillment is a level past happiness !I teach you strategies and keys to experience MORE true happiness and fulfillment. #maxout! WATCH/LISTEN NOW! This man needs no introduction! Also known as a DO-OR-Dier, Rob Dyrdek's relentless pursuit of his childhood dreams made him a professional athlete at 16 years old and propelled him into the world of business before most people entered college. Surrounded by entrepreneurs in his youth, Dyrdek quickly learned the power of building brands which he used to create his first company by the age of 18. By leveraging his influence and designing new concepts and ideas, he helped turn a rising footwear and apparel brand into a $500 million international company. With a successful production company, several hit shows created on MTV including "Ridiculousness" and "Rob & Big" his unquenchable desire to live life to the fullest has pushed him to develop a strategy for success. It is really a privilege to bring you my friend and business partner with @outstandingfoods, Rob Dyrdek, as we deeply examine his life plan for happiness, balance, and love while still achieving greatness in his career. This interview will rejuvenate and inspire you to embark on your own relentless pursuit. #maxout! WATCH/LISTEN NOW! Andre "SON OF GOD" Ward is the undefeated 32-0, 16 KO, Unified Light Heavyweight World Champion, Two-time Super Middleweight World Champion, Number One on the Pound-for-Pound List, Named Fighter of the Year, and Olympic Gold Medalist! On top of that, Ward stepped in front of the camera for a completely different role in his film debut of "Creed," sharing screen time with the film's star Michael B. Jordan. He is also a consistent, positive presence in his community and across the country, traveling to numerous schools, prisons, youth facilities and even to Capitol Hill to speak about the importance of a healthy lifestyle and motivating young boxers to chase their dreams. Known for his strong character and integrity outside the ring and his warrior’s instinct inside it, Andre is a true definition of becoming THE BEST VERSION OF YOURSELF. It is with GREAT excitement that I bring you this exclusive interview with the man dubbed "SON OF GOD" as he shares his rise to the top while exuding courage in all areas of life. This interview is one you do not want to miss. With so much courage and inspiration, it will transform your life! WATCH/LISTEN NOW! Tom Bilyeu is the co-founder of 2014 Inc. 500 company Quest Nutrition — a unicorn startup valued at over $1 billion — and the co-founder and host of Impact Theory. Impact Theory is a first-of-its-kind company designed to facilitate global change through the incubation of mission-based businesses and the cultivation of empowering content. Stephanie McMahon is Chief Brand Officer of WWE, a publicly-traded (NYSE: WWE) global media company. In this role, she is responsible for WWE’s Brand, Community Relations, and Pop Culture strategy, which includes celebrity integrations and partnerships within the entertainment industry. Stephanie represents the company as its global brand ambassador, and also plays a character who appears regularly on WWE programming. Among her many contributions, Stephanie has been the driving force behind WWE’s women’s evolution, which has given female performers an equal share of the spotlight both in and out of the ring. Prior to being named Chief Brand Officer, Stephanie was Executive Vice President, Creative and was responsible for overseeing the Digital and Creative Departments. She was also the first woman to lead WWE's Talent Relations, Talent Brand Management and Live Events businesses. In 2014, Stephanie and her husband, Paul “Triple H” Levesque, established Connor’s Cure, a fund dedicated to fighting pediatric cancer. In partnership with The V Foundation and Children’s Hospital of Pittsburgh, Connor’s Cure has raised more than $2 million to date. She is a mother of three daughters ages 11, 9 and 7. Nick Santonastasso personifies the concept of inspiration. Nick was born with a very rare condition called Hanhart Syndrome, only 3 out of 12 others Born with this condition are alive . Although he survived, Nick was born legless and with only a portion of one of his arms. Nick has not allowed any of those challenges to stop him from achieving his biggest dreams. He doesn't use prosthetics to get around—he is pictured usually standing upright on what is left of his legs, rarely without a massive grin. Santonastasso gained fame as a teenager with his prank videos—notably, one where he dressed up as a zombie and scared Walking Dead actor Norman Reedus. Today, he spends most of his time in the gym and doing motivational speaking. I am rarely speechless in any interview and don’t lose my composure or control of my emotions. However , there is a moment in this interview of such incredible emotion inspiration that I couldn’t quite pull it together. I know you will feel the same. This interview will change your life, PERIOD. Your life and the lives of your family, friends and colleagues will never be the same again.I’m humbled, privileged and honored to share this inspiring conversation with you. Teddi Mellencamp Arroyave and Edwin Arroyave! You might recognize this couple from BRAVO’s "The Real Housewives of Beverly Hills" Or perhaps you recognize Teddi’s last name — which yes, she got from her Rock Star father, John Mellencamp. Teddi grew up as a competitive horse back rider. After winning on a national level, Teddi started to realize she hit her maximum capability. Years later, Teddi which is now balancing her roles as a wife, mother and entertainer, struggled to control her weight. Seeing the importance of accountability, she was able to make a massive physical transformation. Inspired by her results, Teddi is now a World Class Accountability Coach. On the contrary, her Husband Edwin was not as fortunate to have the same type of upbringing. Within months of arriving to the United States, Edwin's home was raided. Subsequently, his father was incarcerated. With his father gone, Edwin had to become the man of the house at a very young age. Along the way he found himself making a leap of faith and investing very early on into the home security business. Since then Edwin has been able to utilize this adversity to transform himself into a world class entrepreneur. Combining their unique experiences and strengths, Edwin and Teddi are what I call a power couple! Check out my most recent interview with Julianne Hough & Brooks Laich! In addition to being neighbors to my Coeur d'Alene estate, this Power Couple makes for a great interview! Julianne Hough is a triple threat entertainment powerhouse! She is a dancer, singer, and actress. She is a two-time professional champion of ABC's series Dancing with the Stars. Julianne was also nominated for a Creative Arts Primetime Emmy in 2007 for Outstanding Choreography in season five of the show! With all this success she still manages to give back with her first song, "Will You Dance With Me", which was released to iTunes to raise money for the American Red Cross. The song placed at No. 100 on the Billboard Pop 100 chart! Talk about maxing out! Joining her today is her husband, former NHL Forward Brooks Laich! Brooks Laich is a former NHL Professional Forward and was widely known for his term with the Washington Capitals, his traits as a leader and is also known as one of the hardest working players on the Capitals' roster. He has represented Canada internationally, capturing a silver medal at the 2003 World Junior Championships, and playing for Canada again at the 2010 World Hockey Championships. In 2013, The couple announced their engagement on August 18, 2015. They've been happily married since July 8, 2017. Since then Brooks and Julianne continue to grow into a stronger married couple as they work countless hours on their relationship. Paige Hathaway is a small town girl, born and raised in Minnesota. Although she had grown up playing soccer and being active, she had never made her health or fitness a priority. After being approached at the gym about doing a fitness competition, she worked harder than ever, and placed 2nd at Ronnie Coleman Classic. This gained Paige a massive amount of exposure, and it was then that she decided to undertake a career in the fitness industry. Paige took a grassroots approach to building her career. She attended every fitness expo and passed out flyers about herself to everyone in the industry. As she was trying to build a name for herself in fitness, she realized the true power of social media, especially Instagram. In one year, she went from having a few hundred Instagram followers to over half a million. She now has over 4 million followers on Instagram, with a very high engagement percentage. She loves competing, modeling and working with companies like Shredz. What she has found most fulfilling is helping other people achieve their fitness goals. Paige wants to motivate others to be healthy, fit and confident. She sets an example of someone who makes her health a priority while still living a fun balanced life! Dr. Joe Dispenza is an expert and teaching people how to heal their mind through his incredible techniques. Dr. Joe is an expert at the mind, body, and heart connection. He has mastered the convergence of neuroscience, epigenetics, and quantum physics. Dr. Joe Dispenza is teaching the world how to empower and heal our mind through meditation and mindfulness. His studies have proven that when well practiced these tools can put us on the path to understanding and breaking deep-rooted bad habits and even heal illnesses. As a NY Times best-selling author, Dr. Joe has written You Are the Placebo: Making Your Mind Matter (Hay House, 2014), which explores our ability to heal without drugs or surgery, but rather by thought alone. He has also written Breaking the Habit of Being Yourself: How to Lose Your Mind and Create a New One (Hay House, 2012) and Evolve Your Brain: The Science of Changing Your Mind (2007), both of which detail the neuroscience of change and epigenetics. Robert O’Neill is one of the most highly-decorated combat veterans of our time and the author of The New York Times best-selling memoir, "The Operator: Firing the Shots That Killed Osama bin Laden" and "My Years as a SEAL Team Warrior". O'Neill fired the headshots that killed Osama bin Laden during the raid on his Abbottabad compound on May 2, 2011. He is currently a contributor at Fox News. Kevin Harrington - The Original Shark on "Shark Tank"
Kevin Harrington is an American entrepreneur and business executive. Harrington is the founder of As Seen On TV. He has appeared on the television series Shark Tank. He co-founded HSN Direct International Inc. and served as its Chief Executive Officer (CEO) and President between 1994 and 1998. Gunnar Peterson is a Beverly Hills-based personal trainer whose clients include celebrities, professional athletes, and everyday people. Gunnar is also the Los Angeles Lakers’ Director of Strength and Endurance. He is widely recognized for his expertise in functional training and his commitment to developing and implementing innovative fitness techniques. He has worked with athletes from the NBA, NHL, NFL, MLB, USTA, professional boxing, and various NCAA sports. Terrell Eldorado Owens, popularly known by his initials, T.O., is a former American football wide receiver. A six-time Pro Bowl selection, Owens holds or shares several National Football League (NFL) records. Over 16 seasons, his 15,934 career receiving yards rank second in NFL history and his 153 receiving touchdowns rank third. While he was one of the best players of his era, Owens also created a significant amount of controversy during his professional career, and also attracted attention for his flamboyant touchdown celebrations. In this interview we discuss Terrell's family upbringing, his grandmother's battle with Alzheimer's, and what he would change if he were to start fresh with an NFL career. We also discuss the possibility of a return to the NFL, given that Owens can still run a 4.5 second 40-yard dash. Amanda Cerny is a highly successful actress and social media influencer. With more than 35 million followers across YouTube, Facebook and Instagram, she has emerged as one of the top five most viewed Instagram story accounts in the world. She has acted in films with Millennial Films, Lakeshore, Paramount, Universal, Comedy Central and NBC. She has also directed, written and produced more than 3,000 comedic skits and music videos featuring actors, top chart musicians, and the most influential personalities online gathering millions of views per video. Amanda currently has over 20 million Instagram followers, gains a million followers per month, and her stories are among the top 5 most viewed on Instagram. Her YouTube channel is one of the top 10 in the world. She has also worked as a model, fitness guru and philanthropist with previous and ongoing relief efforts in Haiti and Puerto Rico. Amanda helped raise over $100,000 to provide for disaster relief after Hurricane Irma. Marshall William Faulk is a former American football player who was a running back in the National Football League for twelve historical seasons. Faulk played college football for San Diego State University, and was a two-time consensus All-American. He was selected by the Indianapolis Colts as the second overall pick in the 1994 NFL Draft, and he also played professionally for the NFL's St. Louis Rams. Faulk was inducted into the Pro Football Hall of Fame in 2011 and the College Football Hall of Fame in 2017. Faulk has a charitable foundation in San Diego, California. Since 1994, the Marshall Faulk Foundation has been dedicated to building brighter futures for today’s underprivileged youth. Where they have been able to help young people tackle the challenges they face that often prevent them from achieving their dreams. In 2014, he was awarded the Ellis Island Medal of Honor and honored as a Knight of the Sovereign Order of St. John of Jerusalem Knights of Malta, the world’s oldest humanitarian organization. Meltzer was named a "Top 10 Keynote Speaker" by Forbes magazine in January 2016. In February 2016, Meltzer was awarded the Sports Humanitarian of the Year award at the Variety Unite4:Humanity event in Beverly Hills, California. Eric’s spiritual walk, tenacity and drive are the perfect example of his quote,“When you want to succeed as bad as you want to breathe, then you‘ll be successful.” At a recent business meeting, Eric had the opportunity to learn more ‘Secrets of Success’ from Mr. Warren Buffett. This invitation-only event, broadened his mind and further strengthened his resolve to empower others in their pursuit of greatness. When it comes to health, there is one criminally overlooked element: sleep. Good sleep helps you shed fat for good, stave off disease, stay productive, and improve virtually every function of your mind and body. That's what Shawn Stevenson learned when a degenerative bone disease crushed his dream of becoming a professional athlete. Like many of us, he gave up on his health and his body until he decided there must be a better way. Through better sleep and optimized nutrition, Stevenson not only healed his body but also achieved fitness and business goals he never thought possible. Mike “Titan” O’Hearn came from humble beginnings. He grew up on a farm in Kirkland, WA and is the youngest of 9 brothers and sisters. He began competing in bodybuilding, power lifting, and martial arts at the age of 13. By the age of 15, he won the Teenage Washington State competitions in all three sports. When not training, he is busy writing, producing, and directing his own projects. Mike is a real-life superhero and a renaissance man in the flesh. Like the bodybuilding greats before him, Arnold Schwarzenegger and Lou Ferrigno, Mike holds 4 Mr. Universe titles and was voted one of the 12 greatest physiques of all time by the fitness industry. Mike is a true champion, well-rounded athlete who has graced over 500 fitness covers (second to Arnold Schwarzenegger), actor and community ambassador. Today's podcast brings an incredibly inspiring and knowledgeable woman named Jasmine Star. Jasmine has an incredible story. She had the courage to drop out of law school to chase her dream of becoming a professional photographer. After building a wildly successful wedding photography business, Jasmine has become an expert among social media strategists. In this interview, we go through very detailed strategies on how to improve your social media engagement, your platforms, your posts, and your pages. This is an entire strategy session on how to upgrade your social media game. This conversation is loaded with specific details, that if implemented, will have a dramatic positive impact on your business. The content here is amazing! I found myself writing notes and implementing this information as soon as the interview was concluded. This is a must-watch for all levels of skill and experience in the world social media. Follow me on Instagram, Twitter and Facebook for daily interactive motivation. 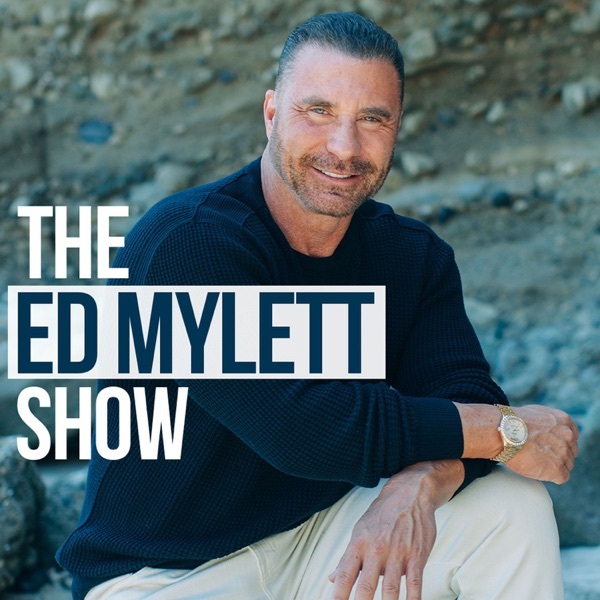 Visit https://www.edmylett.com for tools to #MaxOut your life! This mind-blowing interview dives into the mindset of Cody McCasland, alongside his mother Tina. Cody, a double above-knee amputee, was born with a rare birth defect called Sacral Agenesis. This condition caused his legs to form without tibias or knees. At just 15 months old, Cody had both of legs amputated at the knee. He received his first pair of prosthetic legs at 18 months. He was asked to be a Spokesperson for the Challenged Athletes Foundation, or CAF. With this role, he attends athletic events, fundraisers and clinics to support other physically challenged athletes. He competes in various athletic events around the USA and Canada, with his ultimate goal of competing in the Tokyo 2020 Paralympics for swimming. Cody has been allowed the opportunity to meet with several United States military veteran amputees. He spends time with them and shows off his “unlimbited” abilities. Cody lives to inspire others to do the best they can. WWE Superstars Nikki Bella and Brie Bella discuss their path to fame. The Bella Twins are a professional wrestling tag team who perform on WWE and consist of real-life twin sisters Brie Bella and Nikki Bella. They are both former Divas Champions, with Nikki having held the divas championship for 301 days, being the longest reigning Divas Champion in WWE history. They are also the stars of the E! Channel's very popular shows: "Total Divas" and "Total Bellas". We discuss their incredible rise to WWE fame, their personal stories, along with their business branding and marketing strategies. We also touch base on entrepreneurial best practices, with an emphasis on young aspiring female entrepreneurs. Ken Shamrock, known as the “World’s Most Dangerous Man” joins me for a hard-hitting interview this week on #MaxOut with Ed Mylett! Shamrock is a worldwide recognized MMA fighter and an inductee into the UFC Hall of Fame. He’s a four time UFC Heavy Champion, WWF Tag Team Champion, and the founder of the Lion’s Den, a renowned fighting school where some of the world’s best fighters have trained. Self-love expert Lori Harder joins me for a profoundly powerful 30 minutes this week on #MaxOut with Ed Mylett! Lori is a fitness superstar, millionaire, author and TedX speaker. She didn’t always feel like the rockstar we see today, however. She grew up in an extremely religious home in backwoods Michigan. As she came into adulthood, she began to realize she had not fully discovered or become her AUTHENTIC self. Like so many of us, she battled with fear of rejection and inadequacy but realized this was hindering her from finding BLISS in life. A key belief of Lori’s is to find a TRIBE of people who love, inspire and support your growth. Listen now to tap into an important message of self-exploration and self-love we ALL need to hear. This week on The Ed Mylett Show we have founder and CEO of Live Fit Apparel Randall Pich joining us. He is a 30 year old self made success story, building an empire and social movement. When I talk about #MaxingOut your life, this is what I mean! Randall’s mother was a survivor of the Khmer Rouge genocide. After escaping and fleeing to America, she built the best life she could but Randall was subjected to a very rough start. He used the violence and poverty stricken surroundings that he saw as a fuel for motivating and helping others. He studied kinesiology in college and became a person trainer for sometime, but that wasn’t enough. He continued on to build an empire with his fitness/motivation clothing line at the center, while dominating social media and being a powerful social influencer who brings up others with him as he rises to the top. This is an episode you cannot miss! DISCLAIMER: There is frequent profane language in this episode, may want to protect little ears or those who are opposed to foul language. This week Ed has legendary immigrant business owner and empire builder Bedros Keuilian on the show. Bedros is the CEO and founder of Fit Body Boot Camp as well as a a best-selling author, speaker and business consultant. His family migrated to America when he was six years old with less than $200 to their name. Bedros shares how he learned to be extremely resourceful and resilient through the adversities that his family faced. This episode takes you through a real life RAGS TO RICHES story that sheds light on the mental strength it takes to turn your hardships into catalysts of growth. This week on the Ed Mylett Show Ed gets interviewed! When Ed was first approached to work for WFG he was working in a group home helping boys that had come from extremely difficult situations. He knew at this point that serving others was his calling. While he did not think working in the financial industry seemed to be something he would be passionate about, when he realized that his love for service was also a huge part of the WFG culture. Get inspired and learn about another side of Ed Mylett this week! Master life coach, manifesting expert and best-selling author Sara Centrella joins Ed this week with a profound message. Sarah’s life dramatically changed after she found out her husband and high school sweetheart was having an affair. She became a broke, single mother living on welfare in 2009 and realized she needed to recreate her life. Within 18 months she manifested her first vision board and created a whole new life for her family. Her personal blog Thoughts. Stories. Life. began to gain international recognition in 2011 and she began coaching others. She has worked with NBA and NFL players, their wives and thousands of others to help them turn around their world and manifest their greatest desire. In 2016 her book Hustle Believe Receive An 8-Step to Changing Your Life and Living Your Dream became a #1 best-seller in the self-help, happiness and personal transformation vertical. This podcast is sure to leave you feeling motivated and inspired to get the most out of your life! This week Ed has Brad Lea on the show. Brad is a self-made entrepreneur with over 25 years in sales & marketing and has trained and motivated thousands worldwide. Ed and Brad dive into the history behind the successful version of Brad we see today. From being in an orphanage at the age of 2 to mastering his sales techniques through different job positions and life scenarios, this interview will fascinate and motivate you! Best selling author of "The Mask of Masculinity" Lewis Howes joins Ed Mylett on the show this week. He shares with us the emotional and challenging journey that has brought him to this point in his life. Ed's morning routine and a one-on-one interview with Steve Siebold. Steve Siebold is a former professional athlete and national coach. He’s spent the past twenty-six years studying the thought processes, habits, and philosophies of world-class performers. He's a writer, speaker, and consultant on the topic of mental toughness. In a locker room type setting Ed Mylett takes you through the process of building and maintaining a big baseshop and more significantly why the importance of building a big baseshop.